In recent years Sleeter Group’s Doug Sleeter has written often about how small business owners who are “addicted” to desktop version software should get their mission-critical desktop software hosted in the cloud. True to his commitment last year, Doug Sleeter is back with a Sleeter Group Cloud9 review on how hosting QuickBooks and back office applications with Cloud9 is working out for The Sleeter Group. The reality, according to Sleeter, exceeded their best expectations. User friendly, money saving, and no significant change to Sleeter Group business processes was required. Migrating the Sleeter back office to Cloud9 was like assigning a nanny for our data and apps. It really minimized anxiety and stress. A rising concern for us was how to implement and manage unfailing and reliable secure backup of our local server data. Needless to say, we had systems in place prior to Cloud9, but it was one of those continual concerns that oneday our server would go down, and restoring the entirety of our systems and data would take days or even weeks possibly, even with our backup and recovery plan. So by assigning the entire backup and recovery readiness process to Cloud9, we’ve solved the those concerns well. Cloud9 has rigorous systems with multiple redundancy in place, and they provide 24/7 IT support staffing to ensure things are running optimally at all times. Cloud9 delivers great customer cloud support, and they respond rapidly and proactively to issues. We call them directly and, in general, we get resolution immediately. At the commencement of our Cloud9 contract, one of our people had some connection issues, but Cloud9 support was quick to respond to her directly and the issues were addressed and our staff member was totally impressed how professionally and quickly things were resolved . Whenever we need to print locally while logged onto Cloud9, the print dialog shows our local printers. Kewl! Also, there’s support for scanning locally and directly to the Cloud9 servers. More Sleeter Group Cloud9 Assesments: Our biggest change was not being able to do things ourselves. Cloud9 “owns” our cloud desktops, and any change we require goes through them. For instance, if we need an application installed, we initiate a “support ticket,” and later that day or the next, it’s added to our cloud desktop. Sleeter Group Cloud9 Review Overall: Two Thumbs-up! Sleeter Group was pleasantly surprised with the simplicity with which it made the transition. As noted, some aspects took getting used to, but everything mostly felt “the same as before” – it didn’t really feel like we “changed” anything. Cloud9 ensured that the move to the cloud for The Sleeter Group was both smooth and trouble-free. 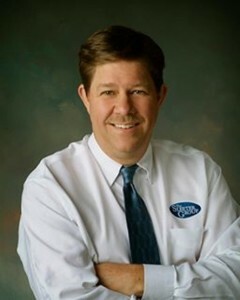 Doug Sleeter is best known for his expertise in QuickBooks as well as driving the adoption of online accounting and small business process solutions. 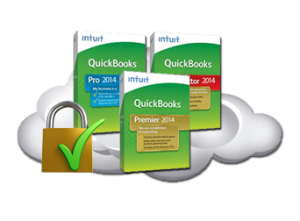 In the early 1990s Doug was a pioneer in developing the first QuickBooks seminars in the country and has since built the largest group of accounting software consultants in the small business accounting profession. Doug serves on several advisory boards for technology companies and has consulted with numerous industry leaders, including Intuit, Sage, Apple, and Adobe Systems. CPA Practice Advisor has recognized Doug as one of the “Top 25 Thought Leaders” in the accounting profession for several years and has been named to Accounting Today’s “Top 100 Influential People in Accounting” repeatedly since 2008. Catch Doug Sleeter at Cloud Summit 2014 this September 17-19.